Moving to a distant location is a thorough process. It’s even truer if it is a business that is moving. Whether it is relocating to another city or opening a new branch, there is a lot to take care of. Car Transport is a part of this process. You will have to move all the commercial vehicles your business owns. And if your employees are relocating too, it means that they will have to transport their cars, too. It seems like a lot to handle but you can always find help for your Auto Transport. The main thing is to find a responsible car transport company to assist you with your Corporate Relocation. Denver Car Shipping will be happy to help your business relocate. We provide Corporate Relocation services nationwide. We will ship your commercial vehicles to your new location and help your employees relocate as well. We know how important the time frames are to you at this point. In any business, a lot depends on time, and Denver Car Shipping will make sure you will get your vehicles in a timely manner. We will deliver them door-to-door so you will not have to worry about Denver Auto Transport at all. You will always be able to check on the status of your Denver Car Transport by calling our agents. If you need Corporate Relocation services urgently, we offer Expedited Auto Shipping. This service ensures you get the fastest pick-up, and therefore, your vehicles will be shipped as soon as possible. This kind of Denver Auto Transport costs more, but it’s really helpful when the time is the issue. Get your free Denver Auto Shipping quote today! 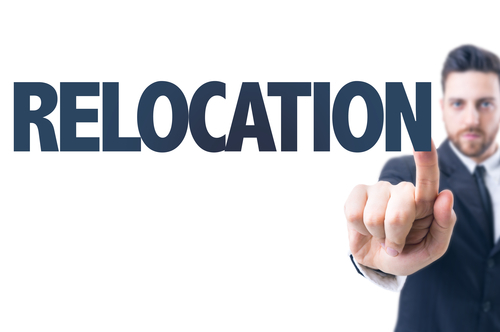 Call our agents to get the price and discuss the details of your Corporate Relocation. You can also request the quote on our website.